As a child, one of the most exciting parts of growing up is having every experience be a new experience. Your formative early childhood years are when you first make sense of your senses–learning different tastes, smelling different smells, seeing different sights, touching different textures, and hearing different sounds. Born in the Philippines with Microtia and Atresia of her right ear, 4-and-a-half year old Annika Silang-Ferrer experienced the world, but she did so with moderate to severe hearing loss. This entry was posted in Customer Stories and tagged Atresia, Audiologist, audiology, BAHS, bone anchored hearing system, ear community, Microtia, oticon medical streamer, ponto, Ponto Plus, streamer on May 19, 2015 by oticonmedical. Recently, Oticon Medical and Canford Audio, a UK based audio video and communications equipment resource, teamed up to help Paul James. Paul works in the theater industry and suffers from hearing loss. Any job is difficult with hearing loss since communication is so vital, but Paul’s was especially prohibiting being in a profession that involves audio production. Paul has an Oticon Medical Ponto Plus sound processor. He also uses the Oticon Medical Streamer, which enables him to stream audio sources directly to his sound processor. Paul wearing his Oticon Medical Streamer and working. There was still an issue, though. 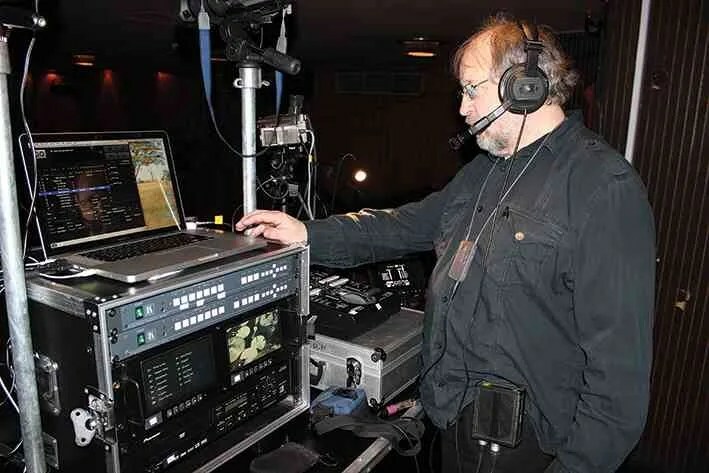 Paul’s production team uses Tecpro Communication equipment to coordinate with one another. This entry was posted in Customer Stories and tagged audio, hearing loss, oticon medical streamer, oticon streamer, streamer, work with hearing loss on May 5, 2015 by oticonmedical.